For Christian Dior grey was "the most practical and most elegant of neutral colors". One of his favorite combinations, pink and grey is not only soft and romantic but it embodies elegance and femininity at once. 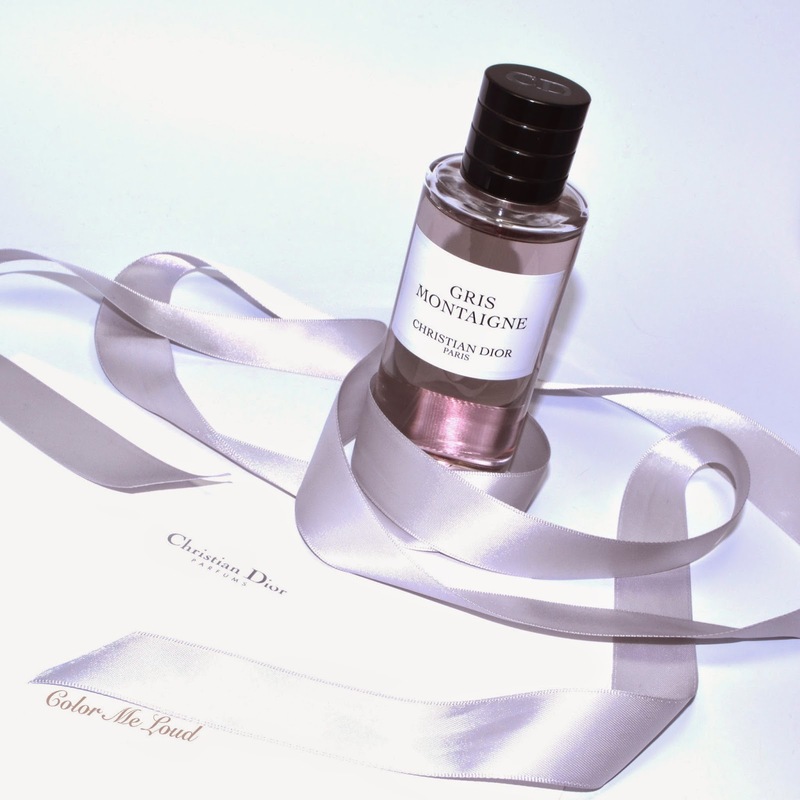 In 2013, Director Of Olfactory Development François Demachy worked his magic and created Gris Montaigne Eau de Perfum for Collection Privée to put the color grey in a bottle. I have been enjoying Gris Montaigne during the last months and it quickly became one of the fragrances I reach for very often. Today I would like to share my thoughts with you on this beautiful modern chypre. I have met with Gris Montaigne during a visit to Breuninger Stuttgart Dior Counter. I sprayed it on my wrist to see how it evolves on my skin but it must have touched a part of the textile. Days later I could still smell it there. The following days and months it became a ritual to spray some more each time I dropped by the counter. Soon after I admitted that it was getting addictive and took it to my wish list for my birthday. On me Gris Montaigne opens with a slightly fruity citrus hue, which slowly transfers to a floral bouquet of well balanced rose and jasmine on a warm and rather dry Patchouli bed. My skin usually amplifies jasmine but here it stays in perfect balance. Patchouli never leaves the scene and continues to linger over warm amber notes and a wooden base. It is when the wood moss reveals its chypre attributes. 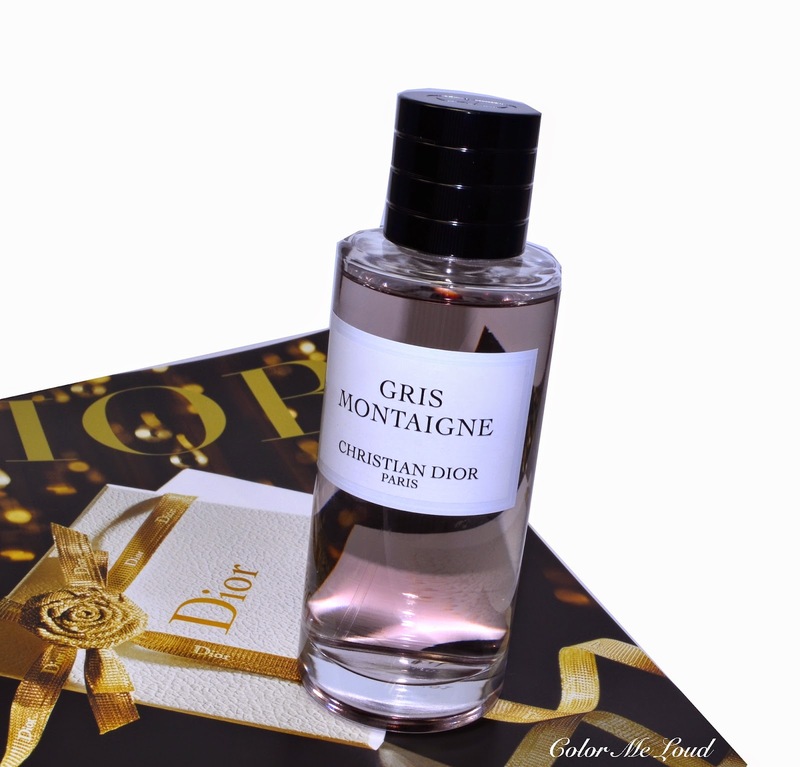 Gris Montaigne is said to be a modern day chypre. With its rather clean and bright composition, it is different than dark mossy fragrances. To me, the color grey comes with this clean elegance, like a well fitted pencil skirt and a grey silk blouse. Its pleasant character and moderate sillage makes it suitable for business occasions and enormous longevity makes it possible to spray in the morning and forget all about it until someone on the street asks you what you are wearing although you are about to jump from one meeting to the other. I find Gris Montaigne to be a perfectly unisex fragrance, although it is given as women's perfume. The dryness and balanced florals and patchouli as well as its warm woody base can be appreciated by men and women alike. I especially enjoy it during cooler days during autumn and right before spring. For those snowy days, I reach for Oud Ispahan, another wonderful fragrance from Dior Collection Privée. Also be sure to check out the wonderful reviews of Bois de Jasmin and Kafkaesque. Final thoughts: A lovely and clean modern day chypre with a balanced patchouli and floral heart on warm mossy woody base. Its pleasant character, moderate sillage and enormous longevity make it a great candidate to be worn to work or any special occasion just like the elegance of grey. Have you tried any fragrance from Christian Dior Collection Privée? Which one is your favorite? Oh God, MUST OWN THIS RIGHT NOW! It's so hard to find fragrances with moss nowadays (the EU imposed some sort of regulation because it's an allergen), but I am really, REALLY partial to moss. Guess a trip to the Dior boutique in Brussels is in order! Not only do I have Amouage (Honour) and Byredo (La Tulipe) on my wishlist, I feel that this one will join those two soon! :) Oh Sara, Gris Montaigne sounds like an exquisite cooler weather scent! You have an exquisite taste in fragraces. I find some Amouage a little soapy on me. Byredo is lovely. 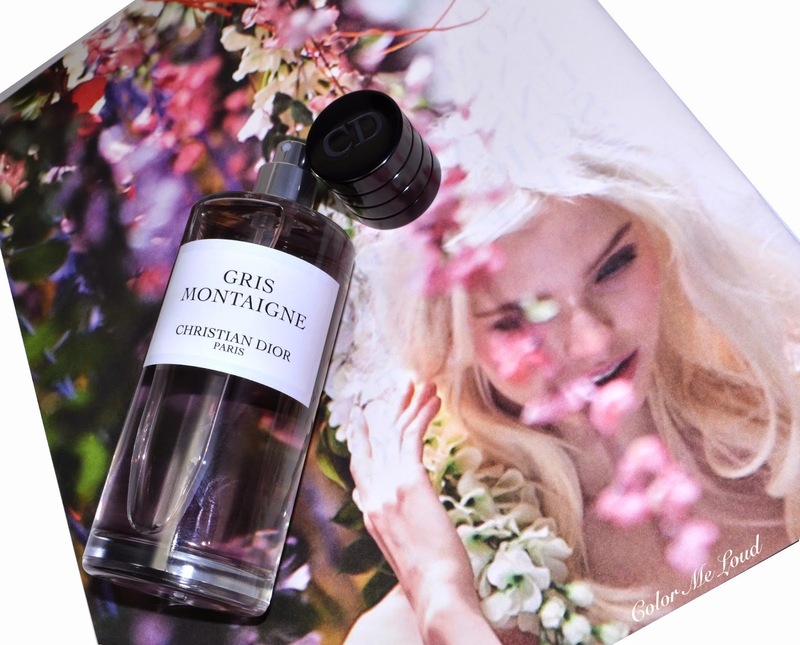 If you have access to, please try Gris Montaigne, it is, for many, love at first sniff. LOL I know, Christian and Grey together. It made me giggle while writing and I was trying to hold myself not to make a joke about that, because I didn't want to pollute the review of such a delicious fragrance with a badly written noval hahaha. I can see you loving this. I know about EU and Moss, it is so heart breaking. I don't know though if moss in that one is natural or synthetic. Let me know how you like it after trying out please, I am very curious. I'd love to know if they sell it at the Dior boutique here in Brussels. Otherwise I'll have to get it on a London trip. They actually have these at Inno Rue Neuve in Brussels! Relatively sure the line is available at the boutique as well.